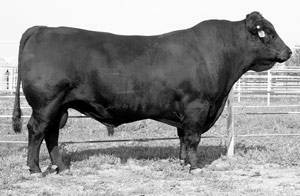 HARB Windy 702 JH was the heaviest calf ever weaned from a first-calf heifer at Harrison Angus and went on to top the 2003 Midland Test Sale at $25,000. 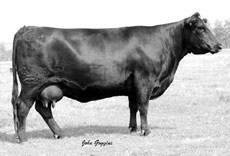 '702' is a high-performance calving ease sire who will add length, thickness, and style to his progeny. Windy sons topped Bakers LeMar SD sale and averaged $5500!